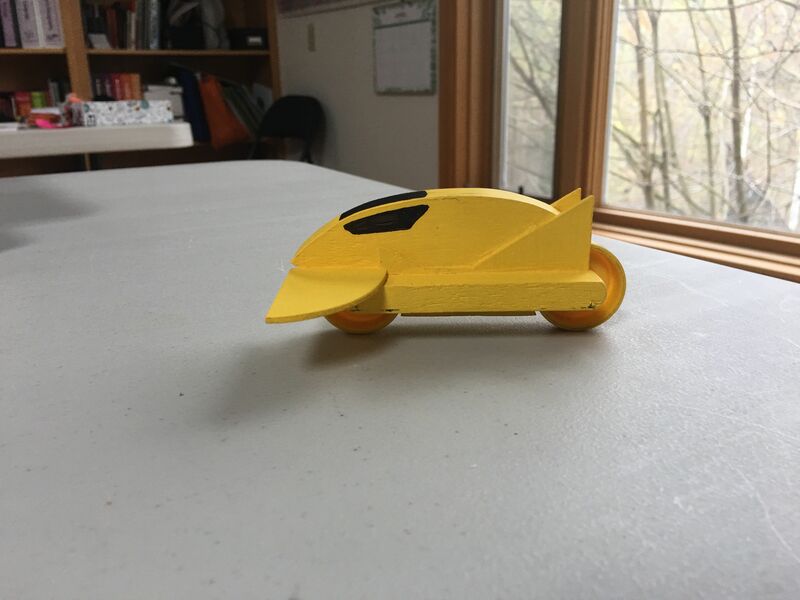 As I am the Stem Chair for my Boy Scout Council and involved in STEM with Girl Scouts (and their recent renewed interest in a PowderPuff Derby), I thought I'd challenge myself to make a two-wheeled racer. 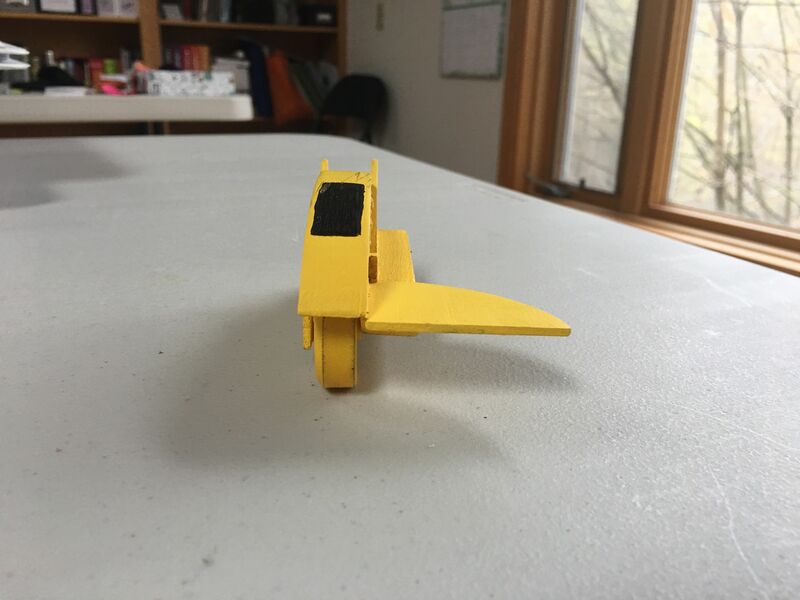 A friend tested a partially completed version at his AWANA Grand Prix (not all that successful, but a hit with the kids). 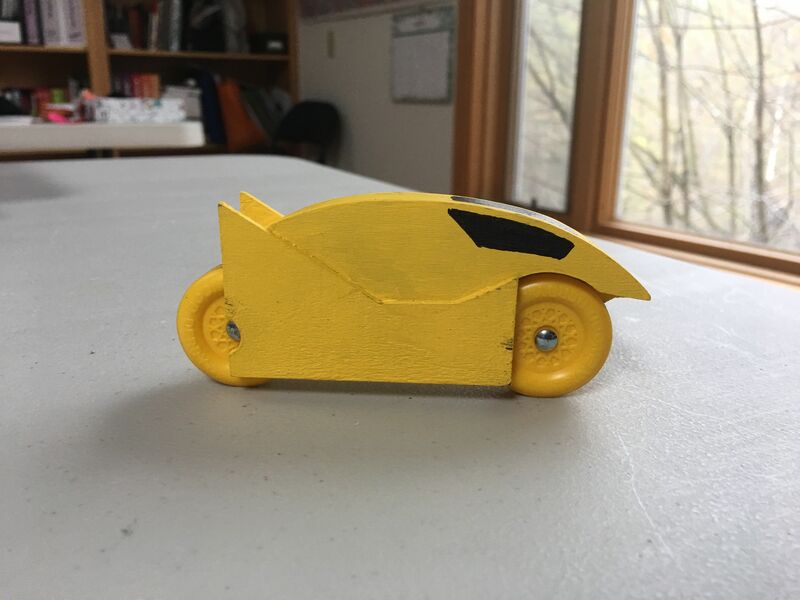 Based on his description of how it ran and a video he sent me I made some adjustments and raced before our District PWD race this weekend. After wheel adjustments and more, I had a dozen successful runs to the finish line!! The trick seemed to be starting it off riding the rail. Start it off the inner rail and it was a 50-50 chance of making it all the way to the finish line. 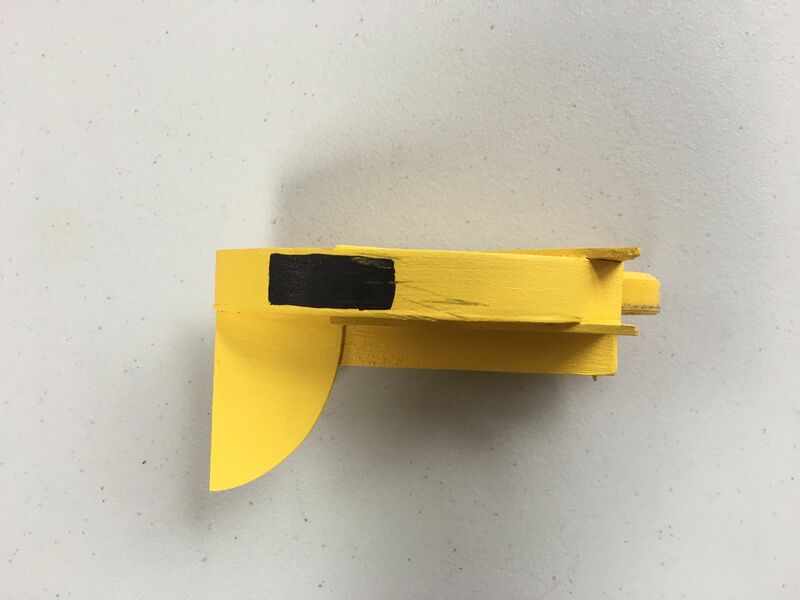 It’s too heavy to launch off the starting peg (the rear pulls to the right). Making it longer might help in the respect. And ultimately the CoG is too high (used a big tungsten disc I had laying about). That's what happens when you go for form over substance. The next one may not be as "cool" looking, but should run better. Bet it's a blast to watch it roll down a track. Once I started it as a railrider, it was! I was disappointed that I could not get it to launch off the gate on its own. I am hoping v2.0, which will be longer will help with that issue.